Mobile apps have become extremely popular since the first smart device was introduced. There is literally an app for everything from shopping, entertainment, weight loss and exercise, communication and remotely accessing your appliances. Business owners can benefit greatly from a mobile application since it can be used as an additional income stream and to take your customer service up a notch. Without further ado, here are some things about mobile applications you probably didn’t know. People use mobile apps more than websites. According to statistics, more than 60% of millennials prefer to make purchases on their mobile applications. You can develop mobile apps on various platforms like google play, android, windows and iOS. iOS is the prefered platform for mobile app developers with Android being a close second. The biggest source of revenue for mobile apps is advertising with in-app purchases coming in second. There are more than 5 million mobile apps available in app stores. Apple releases around 1100 new apps every day. Research done by EconomistGroup.com indicates that the average consumer actively uses 23 mobile apps which is more than 3 times the amount recorded 4 years ago. 80 % of data usage on smartphones is spent within mobile apps. 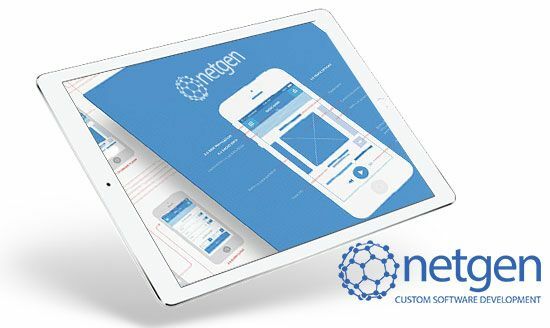 As an iOS and Android app developer in Cape Town, the team at Netgen know just how valuable a mobile app can be for any business. We take great pride in the fact that we have 18 years experience in the industry and offer a wide range of related services such as custom website design, custom software development and digital marketing solutions. We believe in building lasting relationships with our clients which is why after sales service is extremely important to us. If you are looking for a reputable mobile app developer in Cape Town or Johannesburg, you’ve come to the right place. Give us a call today! Previous PostWhich Is Better: A Mobile App or Responsive Website?